Even though you know what it is, you still get excited. Like a kid at a birthday party, anticipation builds, and you can’t wait for the driver to put the box in your hands. If you are a packaging designer or manufacturer, does your eCommerce packaging provide the wow factor? A recent survey revealed that 80% of shoppers say the packaging “innovation and practicality” are very important to their buying decision. When it comes to packaging design trends, don’t think outside the box. Think about the box, the colors, label, font, logos and anything else that your customers see and touch. Your customers expect the branded packaging quality to match what’s inside. From pop culture to ecology, consumers have an interest in packaging design company. It should draw attention, protect the contents, and make a minimal impact on the environment. As consumer preferences evolve over time, eCommerce packaging solutions must keep up with trends. 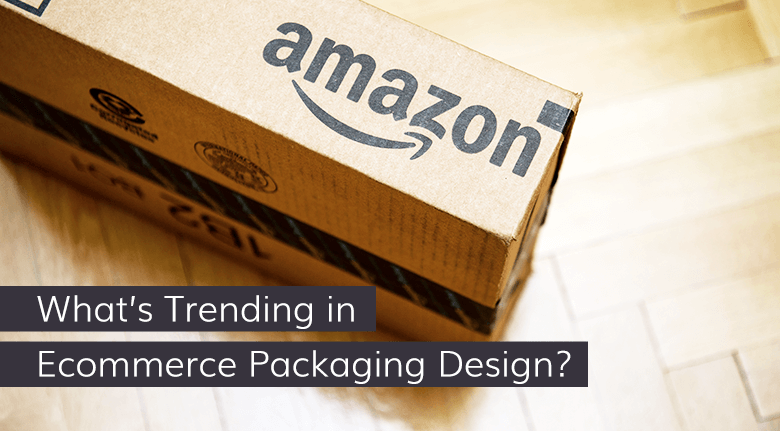 We’ve compiled a list of the consumer-driven emerging trends of packaging design that eCommerce companies should consider. Branded packaging has become part of the social media scene. People are now sharing pictures of their packaging and posting them on Instagram and other sites. Savvy brands have discovered that even the outer carton is worthy of branding; adding logos, colors, etc. Who is not familiar with the smile/arrow logo on the Amazon box? Here are seven ways to capitalize on consumer trends in packaging. In January 2018, McDonald’s Corporation announced a goal of sourcing “100% of its customer packaging come from renewable, recycled, or certified sources and have recycling available in all its restaurants by 2025.” It’s good PR, and it is good for the environment. 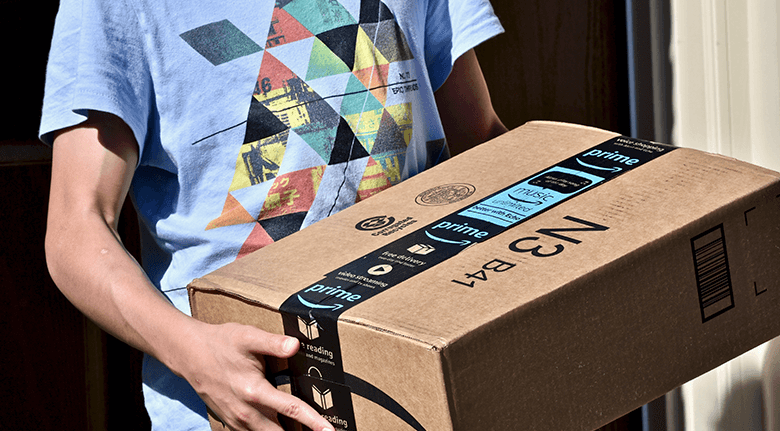 Another way for eCommerce to increase package sustainability is to use “second-life packaging.” It’s packaging that can be re-purposed and it is popular with customers who care about the environment. There is more pressure to reduce or eliminate plastic in our lives. Municipalities and state governments around the world have begun to ban plastic from various areas of our lives such as water bottles, plastic straws, Styrofoam packing peanuts, and plastic bags. The ubiquitous plastic shopping bag is the bane of the environment, blowing across parking lots and beaches around the world. It’s hard to deny the strength, flexibility, and durability of plastic. However, the trend is for packaging to do without it. One prime example is the replacement of the disposable carbon black food trays with paperboard trays. Unfortunately, carbon black plastic makes the trays invisible to sorting machines. It’s estimated that over 1 billion of these trays end up in global landfills or incinerators each year. Shipping costs are a primary concern for online merchants. As eCommerce continues to grow, manufacturers, retailers, and fulfillment centers look to new ways to reduce packaging space, waste, weight, and costs. eCommerce retailers understand that the eCommerce packaging solutions must have the minimum amount of materials but still protect the contents from any damage. If inferior, packaging results in customers receiving damaged products, and the impact to the bottom line can be significant. For enterprise-level eCommerce merchants, it can cost millions of dollars. Reducing losses from damage, at the lowest cost, is the primary function of packaging. The second function is to promote the brand. eCommerce-friendly packaging is lighter, more compact, branded, and economical. Every layer of branded packaging has become a consumer touchpoint, and retailers are using previously wasted space to advertise their brand. In a university study of consumers, 85% said: “the brand image on the package has an impact on the buying process.” 68% of shoppers feel a brand becomes more upscale with branding on their packaging. Every box your store ships is a brand messenger and an opportunity to show your products to the world. Do you ship in generic brown boxes to save costs? Add a large branded shipping label or branded stickers on multiple sides. Minimalism and white space are in. Clutter and complicated designs are out. Busy designs create confusion and labels that are hard to read frustrate buyers and shippers alike. Consumers want to know at a glance what the product is and who made it. Use your logo, symbols, brand colors and easy to read fonts to convey the information. Abstract graphic design with lots of colors helps brands stand out from their competition. One innovative, energetic graphic trend is doodles. It’s hand-drawn art that tells customers what’s inside through text and pictures. It feels relaxed, fun, and personal. Mainstream brands have adopted this design that appeals to both young and old consumers. Older consumers with vision problems appreciate the easy to understand graphics. Younger buyers think it looks cool. You’ll find excellent examples of doodle art on craft beer labels, juice bottles, and pet foods to name a few. 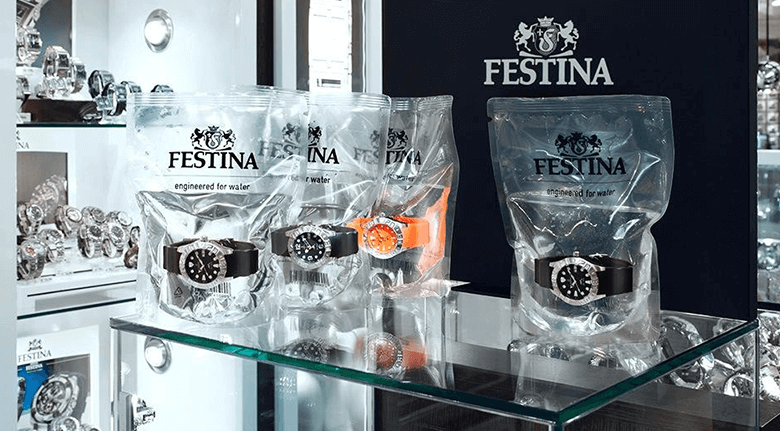 There is no better example of packaging innovation than the Festina Divers Watch packaging. Placing a waterproof watch in a bag of water proves that it works and helps protect the watch from sudden shocks at the same time. It’s memorable packaging that still stops people in their tracks. Designs that perform dual functions – Two ways to open a sauce packet. Convert to other shapes – A potato chip can that opens into a serving bowl. Re-purpose – Barbell shaped drink bottles. Space-saving – Geometric instead of round designs. Whimsical – Fruit juice boxes that look like a slice of fruit. Package innovation is the pinnacle of creativity. It turns a basic container into something that grabs attention, highlights the contents, and promotes a brand. An innovative package can sometimes be more useful or fun than the item inside. When you look at your packaging, does it enhance customer experience, or is it utilitarian, bouncing around inside a delivery truck? The e-commerce growth across all business segments in 13 global markets has increased parcel volume by 48 percent. There is a growing demand for packaging in all areas of eCommerce distribution channels. Packaging must be lighter and use fewer materials, especially plastic. Labels and contents information should be clear and easy to read. Every piece of your packaging, from tissue paper to shipping labels, should carry your brand’s message and be an integral part of your marketing strategy. Brand Colors, labels and logos set your package apart from the rest. Click the banner below for help with packaging or anything eCommerce related.